The Tauranga Racecourse gets its name from the city it is located in which is a sub-tropical region of New Zealand. The racecourse is very close to the Bay of Plenty which is a world famous destination for tourists visiting New Zealand. There is no admission charge for entering the racecourse. Tauranga Racecourse is a hub not only for all sorts of horse racing meetings but community and entertainment events too. 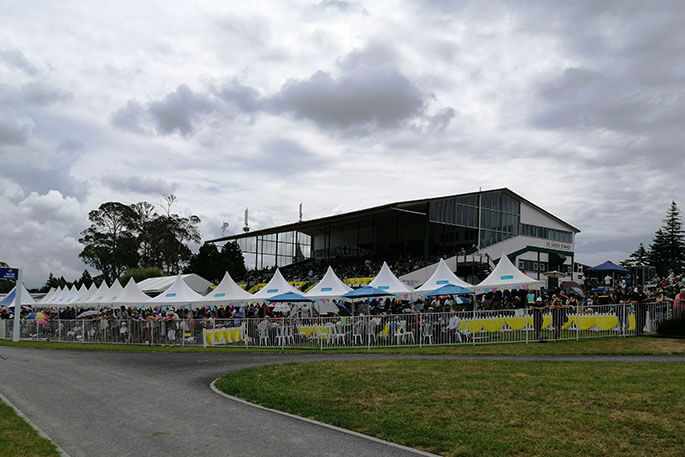 More than ten horse racing events are held annually and the venue is known to be one of the premium provincial racing sites in New Zealand. After extensive renovations the venue now offers two grandstands with lounge facilities that provide comfort to visitors. Children are welcome and are given free entertainment on weekends and any race events that fall on holidays. Children are given free entertainment and there is live music regularly shown at Tauranga Racecourse. Visitors can purchase hospitality packages that give them access to the fine meals, beverages and social gatherings that the racecourse offers. There are gazebo lawn spots situated along the sides of the home straight. These provide visitors with a picnic table and an option to erect gazebos. An enclosure hosts a Fashion in the Field extravaganza where dining alongside the catwalk is an option. Betting at Tauranga is popular and even available online for international betting options. Betting here is huge and manages to rake in millions of NZ$ every year. There are several races held at the racecourse that offer good odds and returns which is an attraction for bettors around the world. Even though Tauranga Racecourse attracts many on all race days, there are some events that are most notable. In January there is the Interislander Summer Festival which features the New World Summer Cup as the main race for the event. There are several horse races during this event as well as free activities for children and organised entertainment from the top racing betting sites. 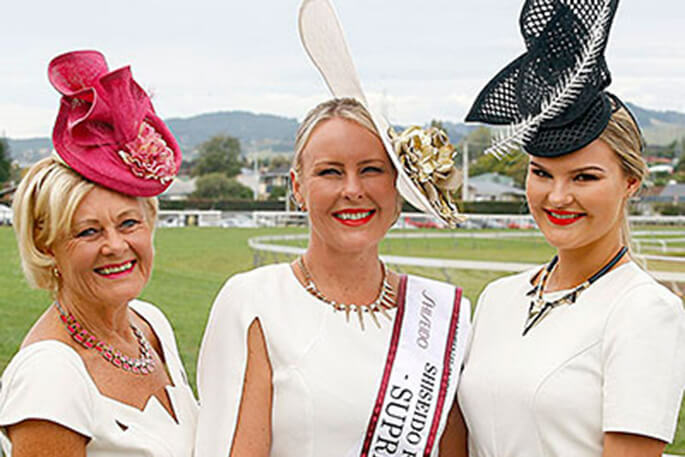 Tauranga also hosts the Bayleys International Race Day which features the NZ$ 120 000 Japan NZ Trophy race, six various other horse races and a Fashion in the Fields competition. This event is held in Match and starts the beginning of the spring season. June sees the Kiwifruit Cup Day event which is the major winter event for the racecourse. The featured races for this event include the Kiwi Cup which is run over 2 100 metres, Tauranga Classic which is a race run over 1 400 metres and a variety of others. There is an above average return for bettors in these races which makes this a popular event for bettors. Christmas at the Races is a December event that attracts major attention from visitors. The main race for this event is the Stella Artois Tauranga Stakes race which has a NZ$ 100 000 prize. There are also several other single horse races run during this event. Christmas at the Races is a family friendly event that offers special hospitality packages for all budgets, provide entertainment for children, has super screen viewing and provides live music.